He’s been keeping a watchful eye out for his little sister for the last three-and-a-half years. 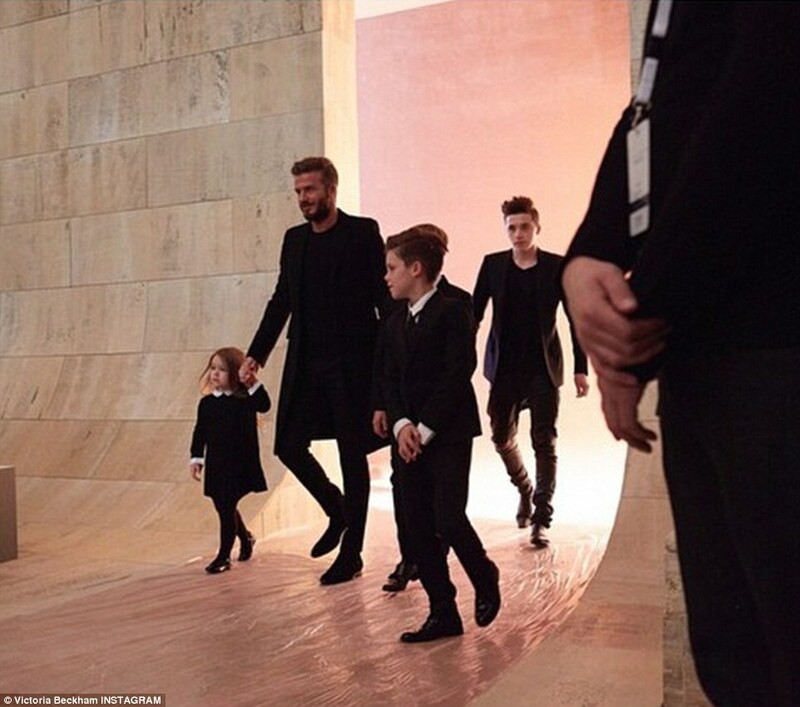 And Brooklyn Beckham embraced his brotherly duties by cradling Harper in his arms as they left their mother Victoria Beckham’s Fall/Winter 2015 collection show during New York Fashion Week on Sunday. The adorable toddler looked sleepy following all the excitement of the front row, peering blearily over 15-year-old Brooklyn’s shoulder as they headed off to celebrate as a family. Harper is getting sweeter by the day and looked cute as a button as she nestled in her brother’s arms. David previously revealed his sons Brooklyn, Romeo, 11, and nine-year-old Cruz have doted on Harper since the first moment they met her. The whole family were delighted to welcome a little girl into their brood and the boys have been fiercely protective of their baby sister, taking a very hands-on approach to helping their parents raise her.